Did you ever notice that there’s never any coffee in coffee cake? Even my go-to favorite recipe has nary a teaspoon (I’ll be posting that one soon because it’s so good here it is!). So it was clear that I needed to remedy this, and I have the wonderful blog Foodness Gracious to thank for the inspiration! Gerry Speirs is a professional photographer, so get ready for truly drool-worthy photos and tons of mouthwatering recipes. A keeper for sure. I followed his recipe to a “T”, only adding my tried-and-true streusel topping because – seriously? – there is NOTHING that is not made better with streusel. Especially THIS streusel (see: muffins, dumplings and hamantaschen if you need convincing). 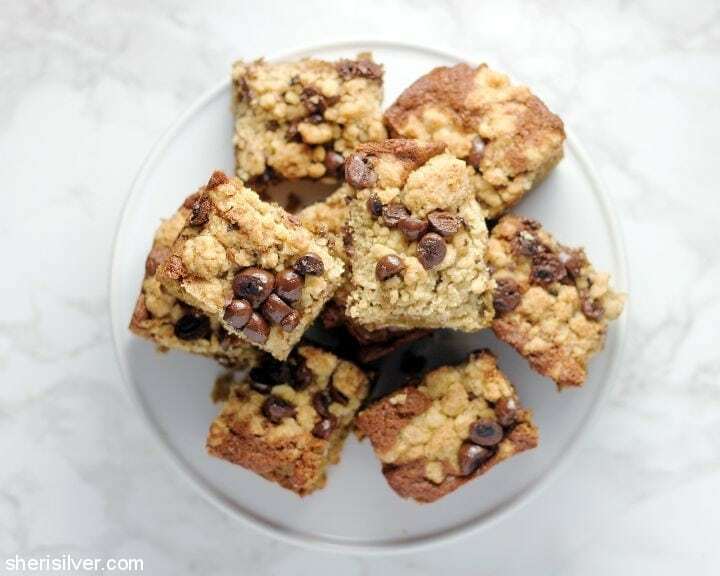 Delicious coffee flavor, buttery streusel topping and melty-crunchy chocolate coffee beans. What more could you want with your morning cup? Hope you enjoyed these chocolate coffee bean recipes – do you have any to share? Pre-heat oven to 325; grease and flour an 8″ x 8″ pan or line with parchment paper. Melt 4 tablespoons of the butter in a medium-sized bowl. Add 1/4 cup of the granulated sugar, the brown sugar and 3/4 cup of the flour, along with a big pinch of salt. 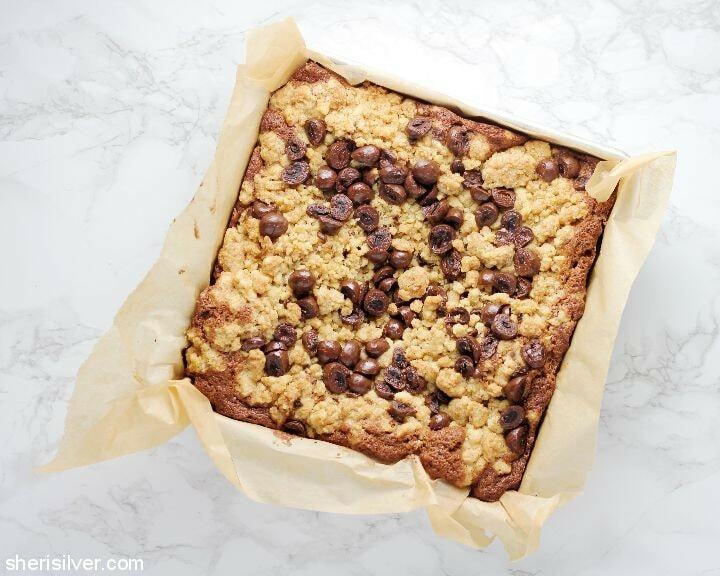 Stir to combine and spread evenly on a baking sheet, breaking up any large clumps. Set aside. Beat the remaining 12 tablespoons butter and remaining 3/4 cup granulated sugar till light and fluffy. Add the eggs and vanilla and beat again. Add the sour cream and beat once more. Add the remaining 1 1/2 cups flour, baking powder, baking soda, espresso powder and a pinch of salt and beat till just combined. Fold in the white chocolate chips. Transfer batter to your prepared pan and spread evenly. Top with the streusel and coffee beans. Bake for 1 hour or till toothpick tests clean; transfer to a wire rack and cool completely before removing from pan. More coffee recipes? On Pinterest, of course!